In this tutorial, we demonstrate how to use Voice Changer Software Diamond 7.0 (VCSD) for voice chat with TeamSpeak 3, one of the most popular instant messaging applications being used these days. In the Preferences dialog box, we will switch from Hook mode to Virtual Audio Driver mode. - Click the OK button (2) to apply the new settings and close the Preferences dialog box. - Click Settings » Options to open TeamSpeak's Options dialog box. - In the Options dialog box, choose Capture (1). 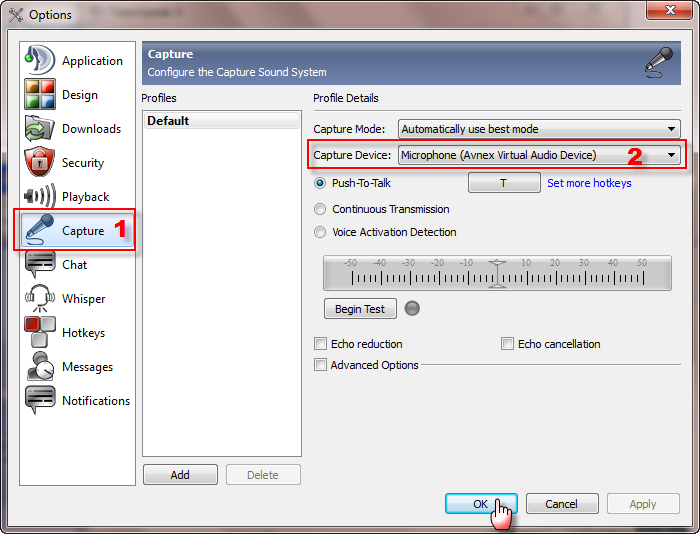 - In the Capture section, choose Microphone (Avnex Virtual Audio Device) for Capture Device (2). From now on, VCS Virtual Audio Driver will be the main audio driver recognized by TeamSpeak 3. 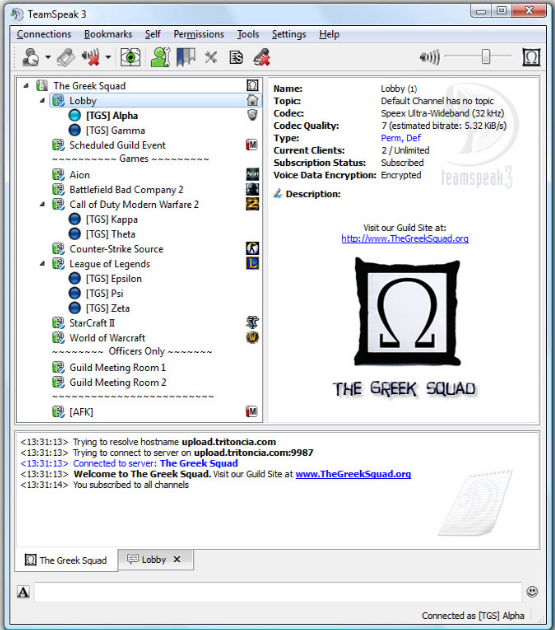 Tip: To learn more about how to install and setup TeamSpeak, please click here. 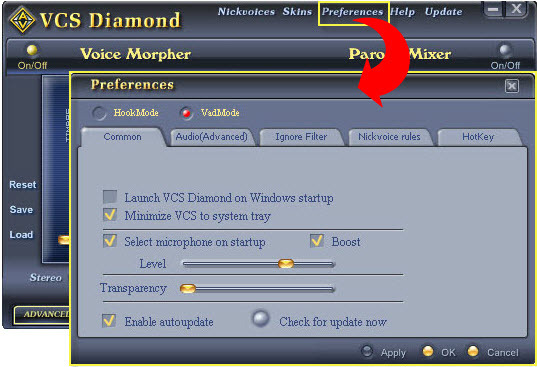 Return to Voice Changer Software Diamond 7, choose the morphing effects for your voice, and make adjustments until you are satisfied with the output voice. 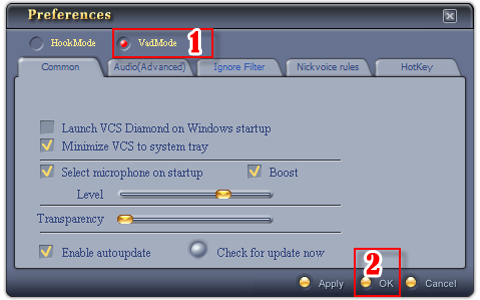 Note: You should have known how to change voice using Voice Morpher feature, and other voice changing features of VCSD. Now you can start the voice chat session on TeamSpeak 3 with your voice changed.